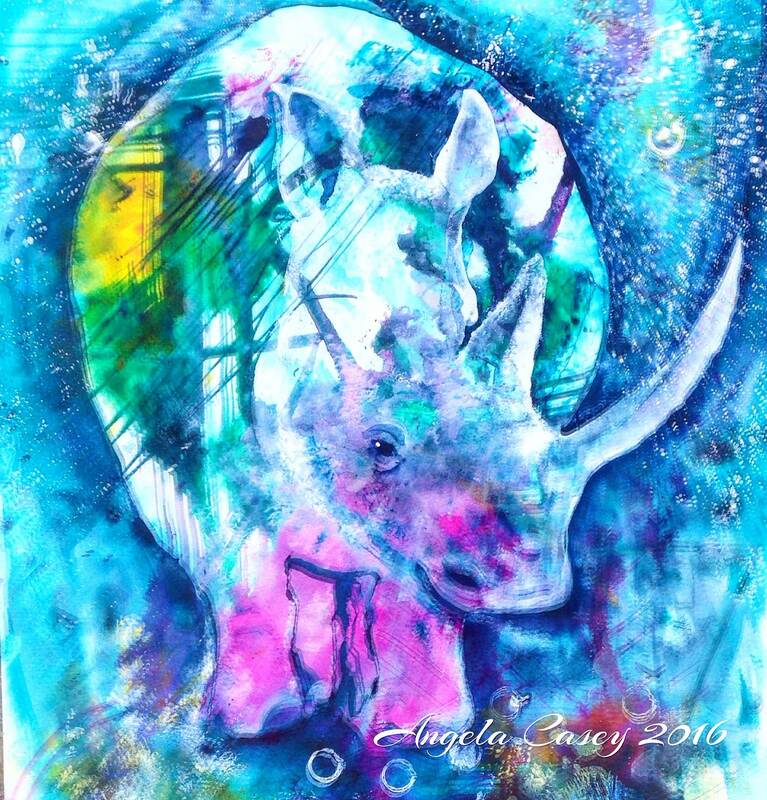 🐘🐘 "Rhino Rhapsody" is an archival fine art giclee print from my original acrylic & ink painting. Please inquire about additional sizes. I am happy to meet your request! ✏️Print will come to you hand signed on the front, signed & dated on the back. 🖥Please note that the colors on the actual print may vary slightly on a monitor display.